Thanks to a £42,000 grant from the Heritage Lottery Fund (HLF), young people on the Isle of Wight will develop the skills and knowledge required to become oral historians. This exciting project will help preserve the fascinating stories of Islanders for future generations. Young people will work with older people in their communities to learn about their local heritage after being trained by museum staff through a series of workshops in oral history techniques and reminiscence practice. They will decide who they would like to interview by exploring partnerships with organisations supporting older people in their communities and using reminiscence as way to build relationships with older people. Young people will then share the stories they have uncovered in a variety of innovative ways which could include curating an exhibition, making a documentary, using performing arts and making interviews available in a variety of ways digitally. These will take place in places such as libraries, museums, residential homes, community buildings and schools. The project is a partnership between the Isle of Wight Heritage Education Service, Carisbrooke Castle Museum and young people in Years 7,8&9 at The Island Free School. This project will provide an opportunity for young people to develop the skills and knowledge required to become oral historians. The project will run until the end of September 2017. Pupils from the Island Free School have been visiting local care homes as part of the project. They are meeting older people to learn about the past through reminiscence using museum objects. Pupils are being trained by museum staff to record the memories of older people in an oral history interview. 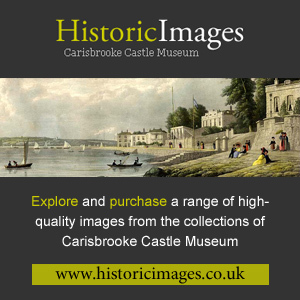 The interviews will then form part of an oral history archive at Carisbrooke Castle Museum. Residents at the care homes are enjoying the visits and say it’s a wonderful opportunity for them to have their stories heard and memories recorded for posterity. During March the pupils are hosting reminiscence sessions in the community for any older people to come along to. These are being held at Ventnor Library on a Monday and Holy Trinity Church Hall in Ventnor on Thursdays from 3-4 pm.